This is my 1972 T5 after I fixed it up a bit. It did not look like this when I bought it in October 1998 in Germany. Lots of blood,sweat and tears went into it so far. But you know that. 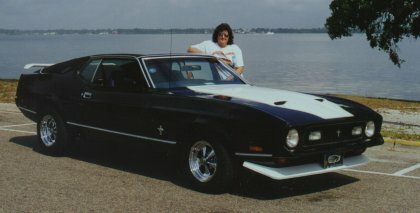 I do love to drive my stang. We are currently in Alabama USA and not too many of the T5's are around I've heard.